Reg Francklyn has been providing Google Street View|Trusted services for over 2.5 years. With the web and mobile devices becoming such a key part of our world, our mobile devices and computer allow us to search for everything. There are a wide variety of social media tools out there, but Google Street View|Trusted is a very exciting way for businesses to really ramp up their internet presence. Reg Francklyn Photography has been serving the Colorado Springs business community for the past 36 years with artistic excellence and skilled commercial marketing instincts. The company provides not only photo services for the Google Trusted Photographer program, but valuable insights into the ways in which photography complements overall marketing requirements. Company clients include Hewlett Packard, Seagate, the City of Colorado Springs, and numerous other major businesses in the community. Trained at the prestigious Art Center College of Design in Pasadena, Reg brings creative approaches to every job as well as technical excellence. His career in photography was influenced by well known documentary photographer Myron Wood, with whom he took several classes while studying at the Colorado College for degree in Political Science with a minor in photography. His experience includes product photography for industrial clients that make up the Colorado Springs high-tech community, a stint as Current, Inc as a studio photographer and studio manager, as well as aerial expertise, specializing in building and progress photos. He has a strong portfolio of architectural subjects, working for Colorado largest apartment Broker (ARA) to help market multi million dollar properties, plus broad experience in human interest and editorial subjects. He has a strong portfolio of people, with emphasis on religious photojournalism for magazines such as Christianity Today, Today's Christian Woman, and many Focus on the Family magazines. He is expert in small product photography. 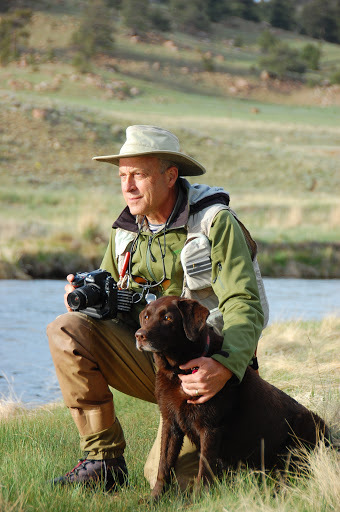 He is skilled in photographing animals, especially dogs, and created the catalogue for the world largest K-9 products company located in Colorado Springs. An early advocate for digital imaging, Reg uses the Nikon digital system and has a strong background in digital workflow. He has taught as an adjunct professor at Colorado Technical University and Colorado Mountain College in Digital Imaging, Photography, and Video production using Adobe Creative Suite. On a personal level, Reg has been a passionate outdoorsman, avid skier, hiker and climber during the past twenty-five years. A strong believer in community service, he has volunteered for El Paso County Search and Rescue since 1981 and served as president during 2003-2004, demonstrating strong leadership and project management skills as well as cool judgment in the face of emergencies. He has participated in over 400 mountain Rescue Missions including the search for STS 107, Colombia, serving as a Search and Rescue technician and advisor to a 140 person Division. Reg is working on his pilot's license on light aircraft and flies a Cessna 172 for photo work. He has time in piston helicopters as well. He integrates these interests closely with his professional photography. He has been shooting with with small unmanned aircraft, and has received his FAA certification as an unmanned aerial pilot. Reg really enjoys working with the Google Street View|Trusted program. Using a Trusted Photographer is a great way for business to really improve their online presence and connect with their customers at a very reasonable cost. What is being provided through this program is very easy to implement, and he will work with customers to help them with Google My Business listings to make sure customers get what they need to really build their brand with the community. Although there are many ways business can use social media to connect with customers, Google Business View works with all of them to enhance connection with customers with no recurring fees, and a very quick turnaround.